Sometimes the words just don't come easily. My most relevant memory in support of this statement brings to mind the overwhelming sense of loss I felt following the passing of my father. I was a newly married mom of a precious two-year old toddler. My father had agreed to relocate and lived with us in our new home for the sole purpose of catering to every whim of his first grandchild. His sudden passing seemed to tear my heart from my chest. I was functioning on autopilot through some of the teariest days of my life. Then I received an envelope in the mail from my uncle. That letter was a simple handwritten sentence jotted down on a copy of his daily calendar's message of encouragement. That letter made me realize that I was not alone. I'm not even able to recall if I was ever able to fully communicate my appreciation of this kindest of gestures to my uncle. 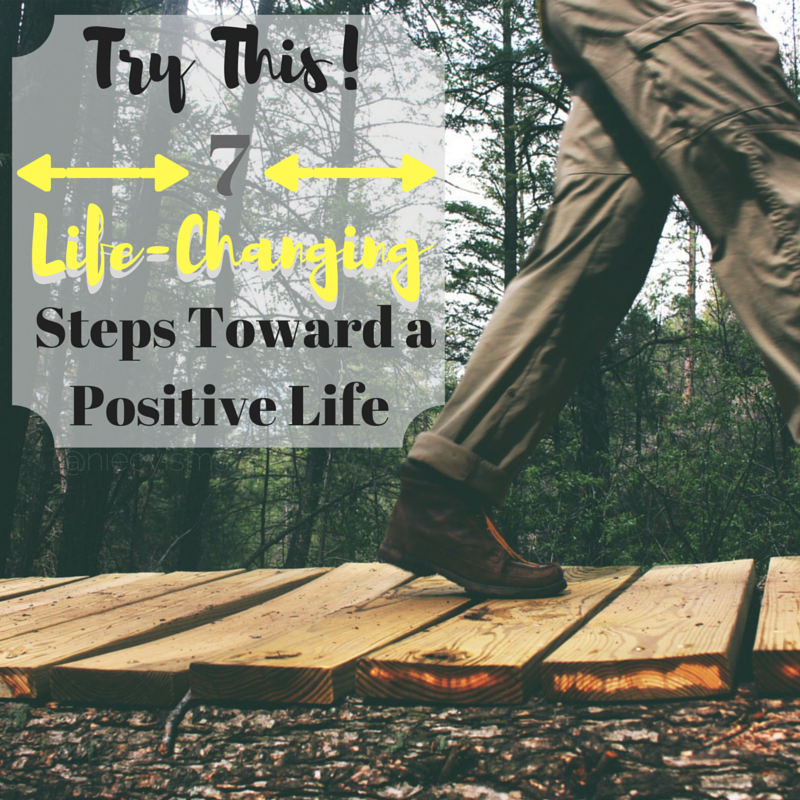 That changes today as I share my eternal gratitude and 7 life-changing steps toward a positive life. Share an excitement for living life in positivity. Highly engaging enthusiasm is contagious. Spread your enthusiasm and ignite a powerful movement of seeking, seeing and experiencing the joys of life. Sparking the excitement of those around you creates an cathartic atmosphere for you and those around you, as well. Life certainly gives us a wide range of highs and lows to face throughout our lifetimes. Will our personal levels of fortitude and endurance be put to the test? Absolutely! Far more times than we could ever imagine. Do those trying times mean that life is just handing you the short end of the stick? Maybe, maybe not, either way face situations head on and keep an encouraging support system to keep you motivated and to share successes with along the way. Surrounding yourself with uplifting family and friends works as a buoy to help keep you afloat during life's challenges. Become the nurturer that you seek by nurturing others. Moving away from ourselves to empower others helps us to gain a more objective perspective on life while providing positive interactions. Random acts of kindness are such an inspiring way to restore our faith in humanity. Seeing the goodness of neighbor-toward-neighbor can only be outdone by the kindness of strangers-toward-strangers. Go out of your way to be unconditionally kind to another person and with a little time, positive new lifestyle changes become second nature. Embracing empathy is a powerful emotion to share with the world. Having the ability to intuitively feel the sensitivities of others very often allows the wounded healer inside of us to emerge. Having had life experiences where our personal levels of endurance were challenged allows us to relate to and care for the needs of others with compassion, which is a truly valuable asset in life. The ability to hear differs vastly from the ability to listen to others. Listening requires undivided attention, an absence of defensiveness or judgement and appropriate response and feedback. Many will hear, few will listen. Listening is an acquired skill that is often overlooked in value based upon confusion with the sensory capabilities of hearing. We live in the uncertain times of today's world. Suspicion, doubt and fear often prevail over compassion, empathy and kindness. Mahatma Gandhi spoke timeless truth in his encouragement to "Be the change you wish to see in the world." Projecting the goodness of our own spirits is more often than not reflected and magnified through the works of others.